Real estate has developed into a successful but complex industry in Malta and the days when everyone could decide to act as a real estate agent without the necessary knowledge and professionalism are long gone. This qualification will provide participants with the basic professional knowledge and competencies to provide a professional service to the parties involved in a real estate transaction (buying/selling/letting). This award is ideal for individuals seeking to become a professional real estate agent and obtain the applicable licence to act as such as proposed in the White Paper entitled “Malta’s Property Code and Regulations”. A CPD Award accredited with 9 ECTS credits (MQF Level 5) by the National Commission for Further and Higher Education (NCFHE) in Real Estate will be presented to delegates who successfully attend the course and obtain a minimum pass in a final 1 hour oral assessment (25% of aggregate mark), in-class group case study assessments (25% of aggregate mark) and a final overall 3 hour written examination (50% of aggregate mark). 9 Modules spread over 18 evening sessions (17:00 till 19:30) from the 18th January 2019 till 17th May 2019. A minimum of four ‘O’ Levels which must include Maths and English OR a minimum of 3 years’ experience working in sales or business development. Provide professional customer service before, during and after a transaction. Fundamental roles of other professionals involved in a real estate transaction such as a notary, land surveyor, architect, interior designers etc. Functions of relevant Government Departments and Authorities such as Lands Department, Malta Torism Authority, MEPA, Housing Authority, Building Regulation Department etc. Knowledge of the Maltese Legal and Regulatory Requirements. The main contents and requirements stemming from the Prevention of Money Laundering and Funding of Terrorism legislation and regulations and their importance in the context of different industries. Awareness of what constitutes a reputable jurisdiction and the effect of international sanctions on risk categorization. 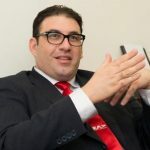 James Grech graduated with a Bachelor of Business and Commerce Degree in 2001 and later on obtained the Accountancy (Honours) degree from the University of Malta in 2003. James is Certified Public Accountant and holds a Practising Certificate in Auditing issued by the Ministry of Finance in Malta. He is also qualified as Certified Information Systems Auditor (CISA) and member of ISACA. 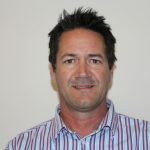 James is also a member of the Institute of Internal Auditing (US), and is a Certified Internal Auditor (CIA). The CIA is the only internationally accepted certification designation for internal auditors and is the standard by which individuals demonstrate their competence and professionalism in the internal auditing and Management Consultancy field. 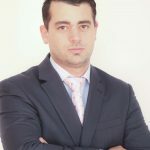 James is a renowned Business Consultant and Management/Business trainer and conference speaker in Malta and is also founder and Managing Director of LEAD Training Services, one of Malta’s largest professional training Institute licensed by the Malta National Commission for Further and Higher Education (NCFHE). Michael is a Certified Public Accountant. He joined a Big Four company in January 2003 and soon after successfully qualified as a Chartered Accountant. After completing his ACCA studies, Michael pursued further studies and read for the Diploma in Taxation offered by The Malta Institute of Taxation and the Advanced Diploma in International Taxation offered by The Malta Institute of Management. During his first six years at a Big Four company, Michael formed part of the Audit and Assurance team. Following this experience, he moved to the Big Four company tax compliance department and since January 2012 he took up a position within the firms International Tax Department. Michael has now taken up a role within the company’s Global Employer Services department. Christopher Pace is an economist by profession and he currently heads the Economics Advisory Unit at a Big Four Company. 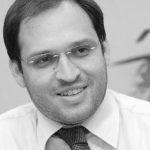 He is authoring and coordinating the undertaking of economic studies, financial analysis and market intelligence on the Maltese economy, the European Union and beyond. Case in point the Middle East. He is a former Central Bank Senior Economist, with 15 years of experience in undertaking macroeconomic studies, managing surveys and the compilation of real, monetary, and public finance frameworks, both for local consumption and in fulfilling respective European Commission’s and ECB’s regulations. Mr Pace has represented the Central Bank on a number of ECB working groups and committees. Before joining a Big Four company, Mr Pace has been a consultant at Misco Consulting Ltd, Impetus Europe Consulting Ltd and Combined Maritime Ltd. He has also given technical assistance in the valuation of intangibles, the preparation of business plans, cash flow monitoring and the compilation of performance monitors for 6PM Group Plc. He facilitated lectures in economics at the European Documentation and Research Centre of the University of Malta and project management at MCAST. Mr Pace holds a post graduate degree in economics from the University of Malta. Dr. George Spiteri Debono holds a Doctor of Laws from the University of Malta, and was appointed Notary Public and Commissioner for Oaths by Warrant of the President of Malta. Notary Dr. George Spiteri Debono is a member of the Notarial College. 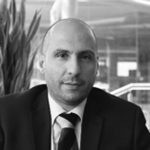 Notary George Spiteri Debono works in private practice, and heads a team of four warranted Notaries, and other support admin staff. Notary Spiteri Debono has specialized in all aspects of conveyance law, that is the transfer of immovable property, both through sale, and through lease. Joseph immigrated to Australia in the 80’s and has been in Sales since 1988. He started his Sales career in Boats and Yachts in Sydney going from a boat demonstrator to sales to becoming a partner with Marlin Marine. His best moments and memories were taking clients from the Marina for a ride down to the beautiful and majestic Sydney Harbour Bridge passing the opera house. The customers were given a first-hand view of a lifetime of what the lifestyle would be to own a boat. He never forgets the expression on their faces whilst passing underneath the bridge. In the late 90’s Joseph moved to the Car Industry working for the Toyota Motor Company. In 1999 he was awarded with the highest achievement possible – the Gold Award for ‘Top Sales Person of the Year’ across all States of Australia. In 1999 he was awarded with the Silver Award for being in the Top 10. Dr. Rakele Cini graduated Doctor of Laws from the University of Malta in 2010 and was admitted to the Maltese Bar in the subsequent year. Rakele joined BDO Malta in August 2016 and currently heads the Risk and Compliance Department which is responsible for the areas of risk management, prevention of money laundering & financing of terrorism and conflict checks, amongst others. 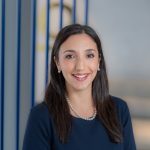 She has acquired years of experience within these fields as lawyer to the practice protection group of one of the local big four accounting firms. 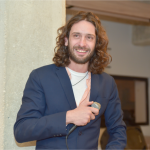 Steve Mercieca is an entrepreneur and co-founder of Quicklets and Zanzi Homes. Steve was instrumental in growing the brands from a one man show to a real estate sales agency of more than 100 real estate professionals. Steve has lectured in real estate subjects and delivered business motivational talks for a number of years. I would like to say that the course was very informative. 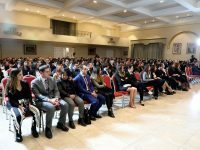 The subjects chosen were gave us a good understanding, not only regarding Real Estate, but also the financial, and legal aspects. Also including AML and GDPR. After working for 15 years in the catering industry I felt a change was needed. Finding a job was getting harder everyday but with the help of LEAD Training Services I managed to get qualified and switch my career. I would recommend LEAD Training Services to anyone who wants to switch or improve career. They are amazing! Candidates can benefit from a 70% rebate of the course fee via tax credit. Get Qualified is an initiative that supports the personal development of individuals for the achievement of qualifications and certifications required by industry. Eligible candidates satisyfing a list of criteria can benefit from a 75% rebate on direct training cost. This course will be opening soon. Please register your interest by clicking the button below. What is a CPD Award? A CPD Award is an academic recognition accredited by the National Commission of Further and Higher Education (NCFHE) and part of the European Credit Transfer System (ECTS). A CPD Award is level rated in line with the relevant Malta Qualifications Framework (MQF) and the ECTS credits obtained from this course can be accumulated with ECTS credits obtained from other accredited courses with the same MQF level. I’d like to attend this course but the dates or/and times are not ideal. What can I do? If the times isn’t right, you can register your interest here and please also explain the ideal time period for you so we can consider this when we plan the next course intake and be able to keep you posted. I am not sure whether I have the minimum entry requirements for this course. Please contact us via email or phone and discuss your concern with a member of our Admissions Team. You will then be guided accordingly on whether you qualify to participate in this course or not. Do I need to sit for an examination or other form of assessment to obtain the CPD Award and relevant ECTS credits? Yes, in order to obtain the CPD Award you are required to successfully complete an assessment which can take the form of a written examination or a home assignment as the case may be. We do offer resits if you fail your first attempt. I am about to register online for this course. Do I need to make an online payment and when will my enrolment be confirmed? Payment is not required to be made during your online registration although registration entails an obligation to pay following receipt of an invoice. We have a cooling down period 14 days during which you can cancel your registration without incurring a cancellation penalty. However please read carefully the terms and conditions before ticking that you agree with them as there is a clear cancellation policy which we do enforce. Following your online registration, a member of the LEAD Admissions Team will contact you by email (within 24 hours) to confirm that your registration was received and to complete the registration process. In which countries will my certification be recognised? LEAD Training Services is a licensed Higher and Further Education Institute by the National Commission of Further and Higher Education (NCFHE). Our courses are all accredited by the NCFHE as CPD Award with relevant MQF Levels and ECTS Credits which allow our courses to be recognised in Malta and within the European Union. Can I pay the course fee by instalments? LEAD Training Services believes that financial limitations should not restrict a person from studying and achieving academic goals. Get in touch with us and we will find a suitable payment terms option which can fit within your financial situation. What is the Get Qualified Scheme and how to apply for it? Individuals who successfully achieve certifications of a course programme approved by the Get Qualified Scheme administered by Malta Enterprise, benefit from 70% (as income tax refund/credit) of their course fees back. The LEAD Training Admissions team guides students through the whole process – hassle free.